Halloween is quickly approaching. If you haven’t bought the perfect costume for your yearly costume party or your kids haven’t found one they love yet for trick-or-treating, you’re running out of time. No need to fear though. There are plenty of options for last-minute Halloween costumes. Today I’ll share a few of those last-minute Halloween costume-snagging ideas with you. Here are five places (or ways) to get last-minute Halloween costumes. 1. Make your own costumes. If you have a knack for sewing (or can come up with creative ideas, no sewing required), homemade Halloween costumes are a good standby option. Need budget-friendly options that are quick to put together at home? Budget101.com has a wide selection of do-it-yourself Halloween costume ideas that will save you money. Need ideas for last-minute costumes for your kids? Disney’s Family Fun site has a good selection of kids’ costumes you can make at home in their last-minute costumes collection. 2. Hit the local Halloween store. Halloween stores are notorious for charging a bit too much (at least where I live) compared to other options. But “options” is the key word — you’ll probably find plenty there. And since you’re shopping this close to the holiday, you might be able to snag a deal as they try to clear out their inventory. 3. 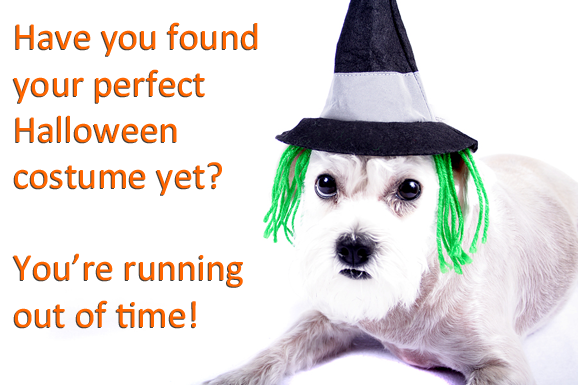 Look for consignment shops or local costume exchanges (or set one up). This time of year you might be able to find some gently-used Halloween costumes at your local consignment shop. For something you might only wear once, it makes sense to buy costumes used (especially if you’re on a budget). 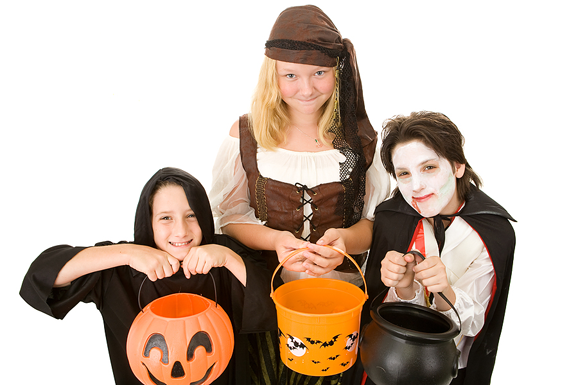 Another option for kids is to get parents together and exchange old Halloween costumes kids have outgrown. What’s old to one child is new to another, and many costumes are “evergreen” in nature and will be good for years to come without going out of style. Don’t have a network of other parents to trade costumes with? See if your community has a larger exchange put together, or trade with family. This option is a bit riskier than running to a local costume shop, since last-minute ordering means you probably won’t have time to make an exchange if something doesn’t fit. But if you’re completely sure of your size, you can order a costume online. You can look for costume-specific sites, go to trusted larger retailers like Amazon.com, or find the online version of your local Halloween store, like Halloween Adventure. That last case is a great option if you found a costume you loved in-store and they simply didn’t have your size in stock. 5. Visit your local toy store. If you need a last minute Halloween costume for a young child, visit your local toy store (or even major retailer that has a decent-sized toy section). Toy stores often have “dress up” clothes for little girls, such as plastic princess slippers, tiaras, wands, and even little dresses. Sometimes they’re character-themed. You might also be able to find makeshift costumes for boys — think fireman hats, character masks, and toy swords as starting points. Finding your dream costume for Halloween at the last minute might be tough, but you do have options. Maybe you’ll find that you enjoy the last-minute rush of making your own costume and it will become a tradition. Or perhaps you’ll take this year’s rush as a learning experience and shop early next year. Heck, if you know your size won’t likely change you might even buy another costume post-season this year to save some money and be well-prepared when next Halloween rolls around. Have you ever had to get a last-minute Halloween costume? Did you make your own? Did you buy one somewhere? Where did you find one (or at least find your idea)? Share your tips and stories in the comments.